Creating an Author Page is a straightforward process. The first step is to log into Book Cave, then select My Profiles from the Account menu. Type your author (or pen) name into the field and click the "Add new profile" button. The profile will be added to the dashboard in draft mode. Click the pencil icon to edit your profile and add details such as a picture, social media links, biography, books, etc. As you scroll down the edit form, you'll come to the books section. 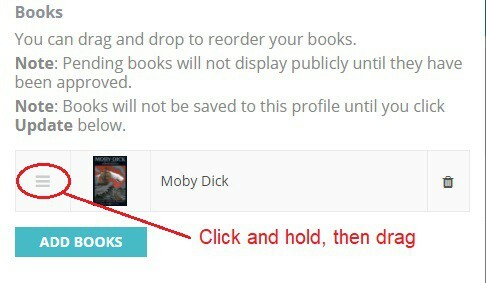 Click the "Add Books" button to select books to attach to your profile. If books are missing from this list, it may be because they have already been assigned to another profile, or you haven't uploaded them to your dashboard. Please go to the My Books page of your dashboard to double-check your books, or submit the missing book here. 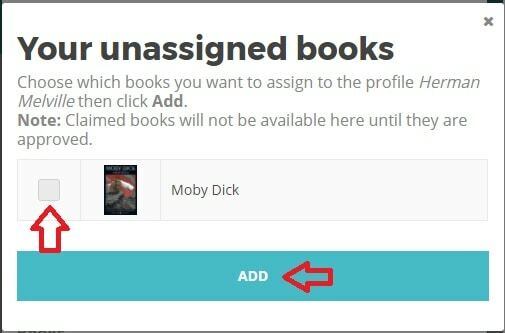 You've added your books to the edit form, but they may not be in the order you want them displayed on your Author Page. Putting in the order you want is as simple as drag-and-drop. Click and hold the drag handle (the 3 horizontal bars to the left of the book), drag it to the right position, then release. Right below the books section of the edit form is the Subscriber Magnets section. If you have subscriber magnets, you can add them here. The process for adding and ordering them is the same as for books. Subscriber magnets will display on your Author Page under the "Offers" tab. Note that only magnets that have been marked as public will display on your Author Page. At the end of this FAQ, there are links to a few profiles so you can see what the "Offers" tab looks like. 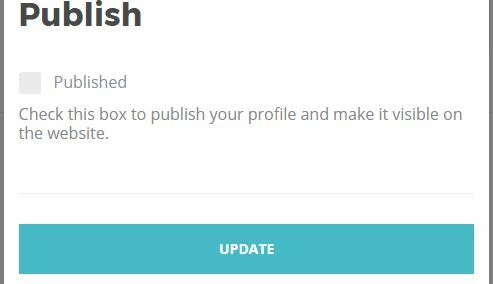 If you're ready to publish your Author Page, turn on the "Published" check box and then click the "Update" button. If you're not ready to publish, simply leave the "Published" check box turned off and click the "Update" button to save your work. 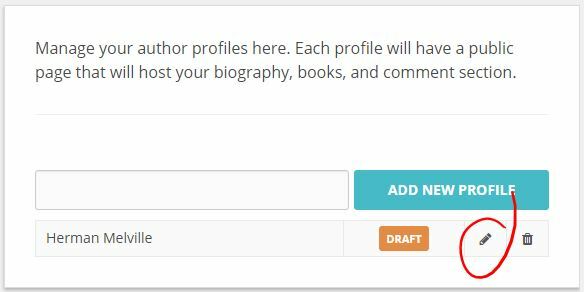 You can edit your profile at any time: change your biography, status, add books, re-order books, add and remove subscriber magnets, etc. Just return to the My Profiles page of your dashboard and click the pencil icon to edit the profile. To remove books, scroll down the edit form (after clicking the pencil icon) to the book's section, then click the trash can to remove that book. Do remember to scroll down to the end of the edit form to click that "Update" button! Create a profile for each of the names you write under. Each profile will have its own public Author Page on the site. Any comments posted to your Author Page, or to books assigned to one of your profiles, are held for moderation in your behalf. The comment will be sent to you by email and will contain a link to the comment's page, where you can approve or delete the comment. It's your page, so you're in control. And rest easy—you'll never see spam comments. We filter those out for you. Here are a few profile examples. Remember that the "Offers" tab is available only if you have at least one public subscriber magnet assigned to the profile or if one of the books is under promotion with us.